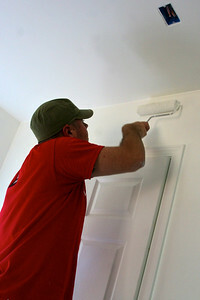 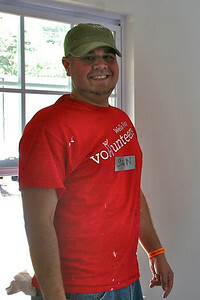 Painting one of the kids' rooms. 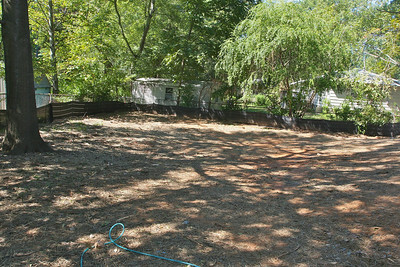 The back of the house and part of hte large back yard. 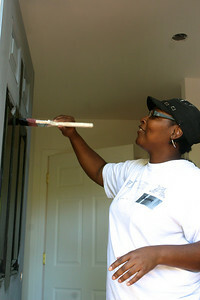 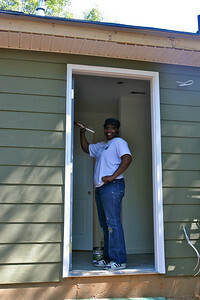 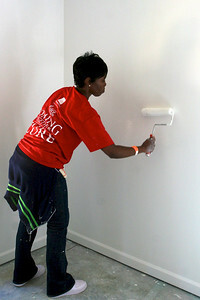 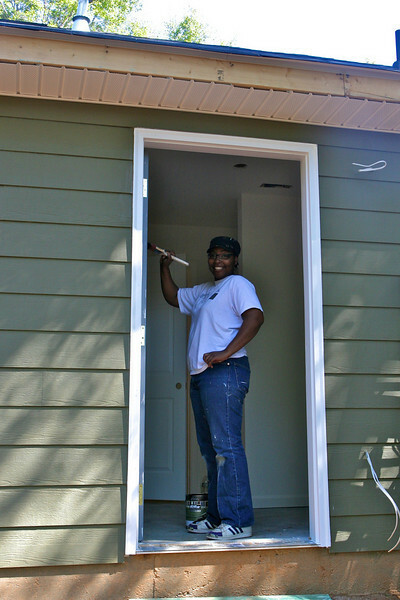 Homeowner Shareka painting her back door. 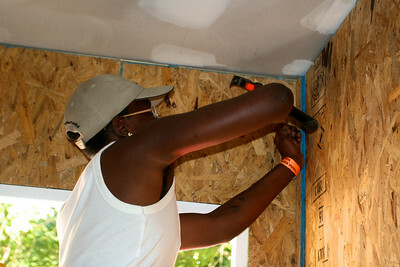 Installing the walls of the storage room. 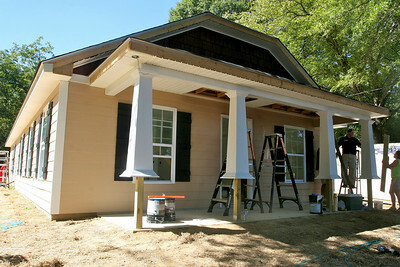 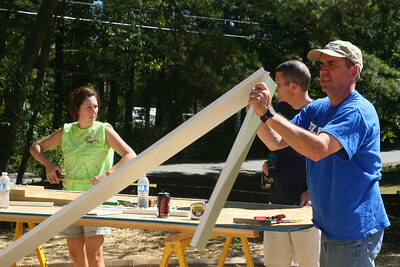 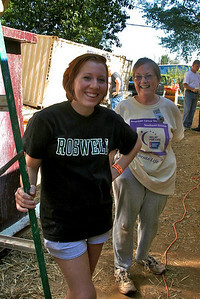 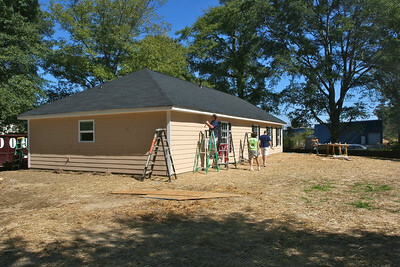 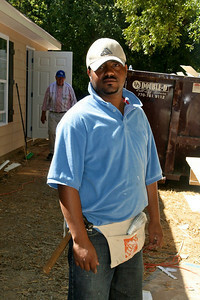 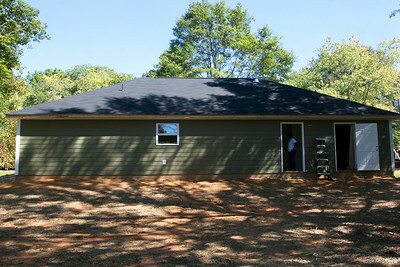 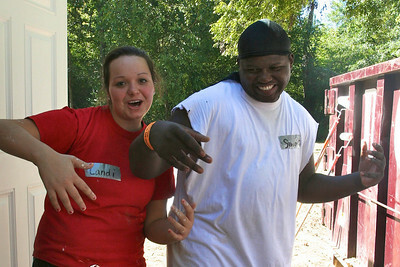 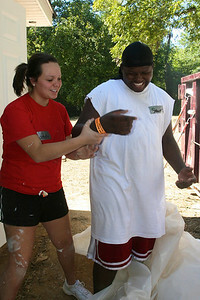 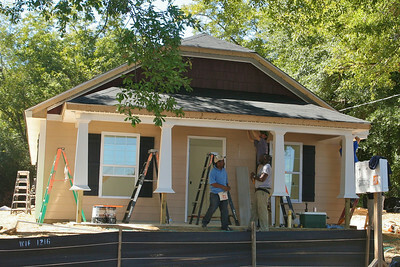 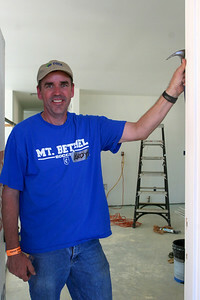 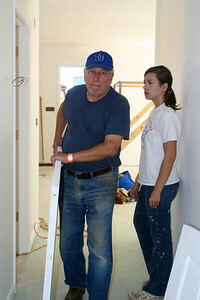 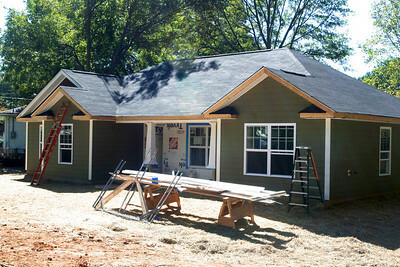 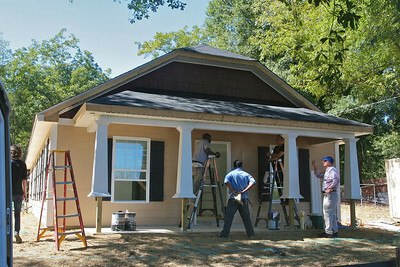 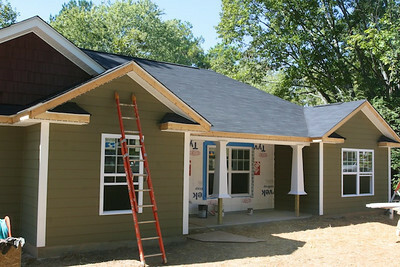 Habitat Houses - Almost Done. 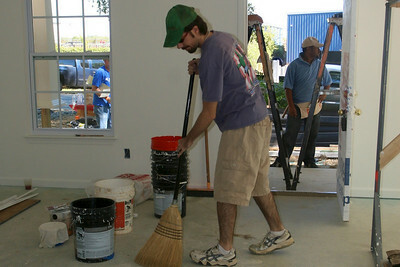 Sweeping out the family room. 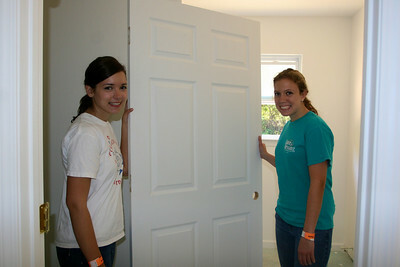 Two girls are hanging a door! 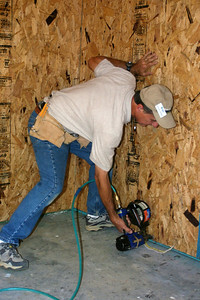 Hammering in the walls of the stoage room. 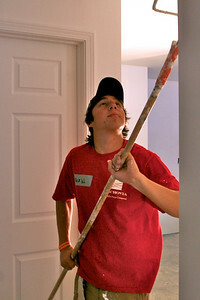 Handy Andy in the door. 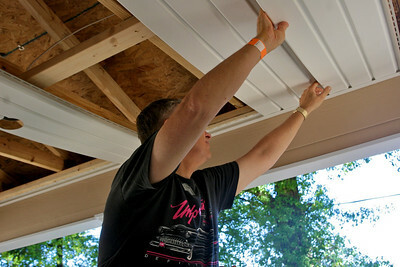 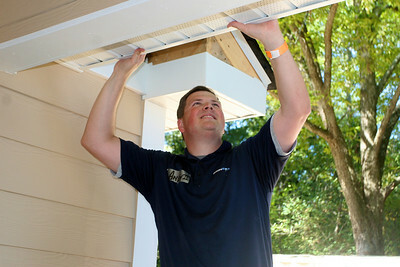 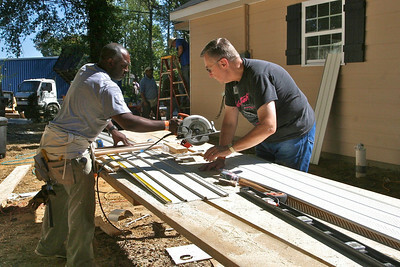 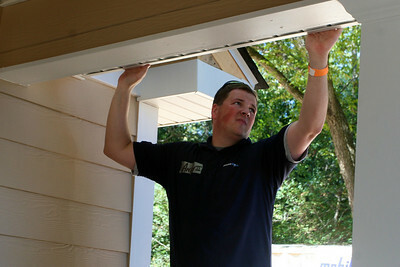 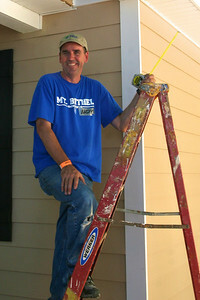 Andy measures the porch roof for gutters. 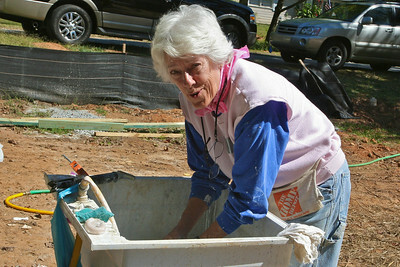 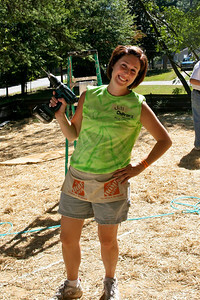 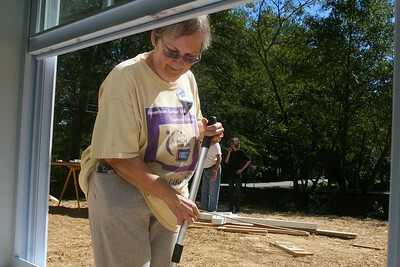 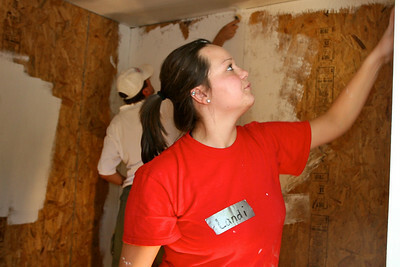 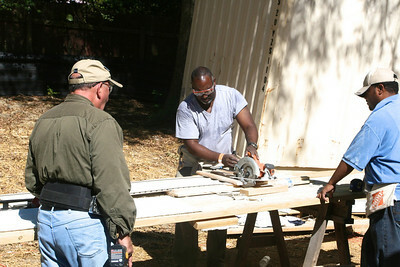 Jill - a chick with a power tool! 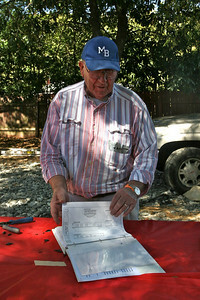 Jan consults the house plans. 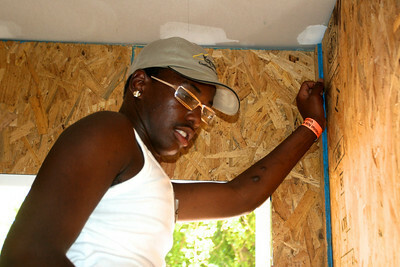 Teddy in front of his house.